4. 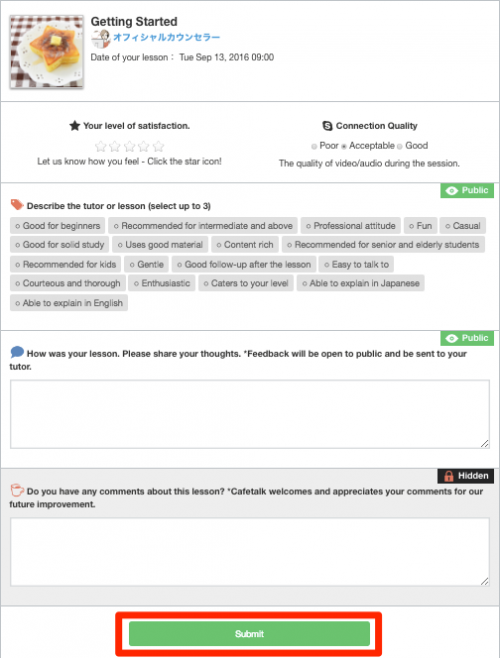 From this page, you can input your satisfaction level, select up to 3 tags, and give written feedback. Once you are done, please click “Submit”. This feedback will be sent directly to the tutor. If you have any questions, please feel free to contact us directly.